Le Laperouse will guide you to some of the most picturesque parts of the region – the Hunter River, King George River and the majestic Twin Falls. Admire the Montgomery Reef, home to vast expanses of lagoons and immense coral reefs. Visit the Buccaneer Archipelago, whose coast is one of the most spectacular in the entire region. The wild lands of Kimberley are the promise of an exceptional adventure. Day 1. Broome, Western Australia. Often referred to as the pearl of North West Australia, Broome is Western Australia’s coastal gateway to the magnificent wilderness region of the Kimberley. Le Lapérouse will be alongside the wharf in Broome. Guests will be transferred by coach from Pearl Luggers in Downtown Broome to the wharf between 3pm and 4pm. The ship is scheduled to depart at 6pm. Days 2 – 9. Exploring the Kimberley Coast, Western Australia. It is very easy to sail past the rocky inlet known as Langgi without realising the beauty and significance of this special place. One side of the inlet is a maze of three metre-high naturally sculptured sandstone pillars standing alongside a narrow gorge. To the Worrorra people these sandstone pillars represent warriors killed in a great Wandjina battle during the time of Lalai (Creation). Swift Bay. Kimberley, Western Australia. The Bonaparte Archipelago in WA’s remote Kimberley region, is a maze of islands, inlets, peninsulas and rivers. Phillip Parker King originally named it “Swift’s bay” after Jonathon Swift (1667-1745) the author of Gulliver’s travels. Today it is known as Swift Bay. The ‘T’ shaped bay is composed of heavily fractured sandstone providing an abundance of rock shelters. On the walls of these shelters are examples of both Wandjina and Gwion Gwion style rock art. Enjoy a leisurely day at sea to reflect on your experiences, take advantage of the luxurious on board services or enjoy a cool drink at the Pool Bar. 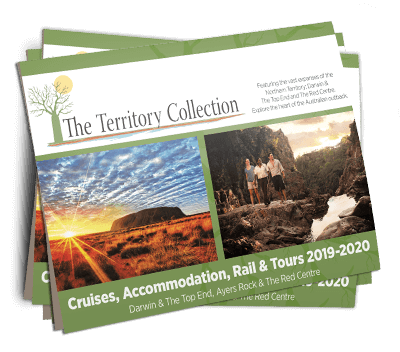 Today your expedition team will provide informative presentations about the Kimberley region. The Kimberley is one of the world’s last great wilderness areas, and one of Australia’s greatest natural assets. Darwin is the largest city in the sparsely populated Northern Territory, with a population of 136,245. It is the smallest and most northerly of the Australian capital cities, and acts as the Top End’s regional centre. Darwin was originally a pioneer outpost. Le Lapérouse will be alongside the wharf at the Darwin Cruise ship terminal located at Fort Hill Wharf. and embarkation will commence shortly after breakfast.